Crystal Beach Villa is a luxury tropical paradise located at 1300 N.Crystal Beach ~ Crystal Beach,Texas on the Texas Gulf Coast ~Intracoastal Waterways. 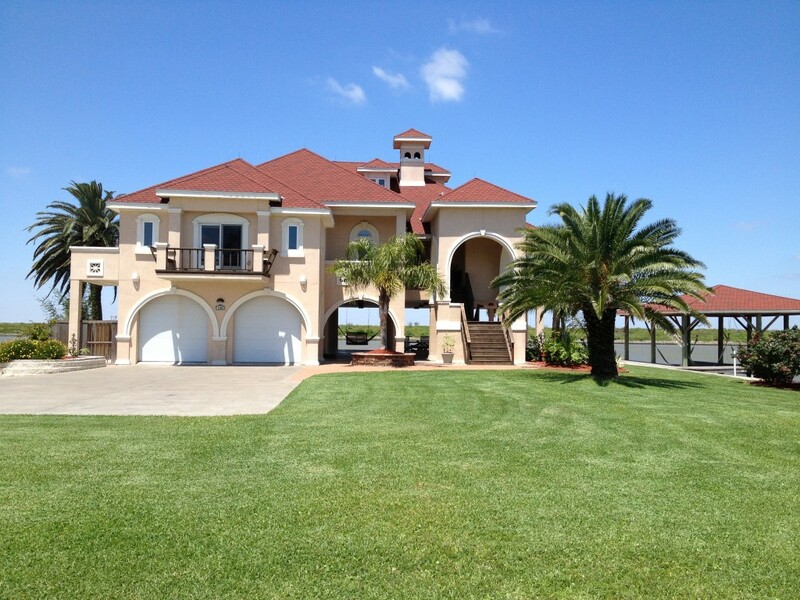 Drive across Rollover pass or ride a Ferry from Galveston to locate Crystal Beach Villa. A secluded paradise point on the waterway, Crystal Beach Villa is perfect for celebrations of sunsets, weddings, family reunions, fishing tournaments, golfing & shuffleboard across the intracoastal waterways. Boat house and 300’ bulkhead are both perfect for nostalgic fishing & crabbing adventures. 2600sq. ft. covered Hospitality Plaza down-under for all venues: BBQ, crab/crawfish boils, weddings, reunions, retreats & corporate gatherings.